How does desktop Linux survive despite a low (3%) market share and no multi-billion dollar organizations backing it? How does new versions of Linux distros come out every six months while Windows takes years. I am using GNU/Linux for the past two years and often hear a comment from some of my friends – Linux has just 1% market share, it will die one day. Their notion maybe fairly true, GNU/Linux has no big company like Microsoft as a financial backing, nor a significant market share to attract more and more people and to its base. Now there are people switching to Linux everyday, still the desktop share of all Linux distros combined has remained below 3% of all computers since the beginning of personal computing era. We often hear that 20XX year will be the year of Linux desktop, and a whole lot of people will switch to GNU/Linux distros from Windows or Mac. But that year never comes, and frankly speaking, will never come at least in this decade. There are a many satisfied people using Windows in their computers, and I find no reason of them switching to Linux straight away. So how does Linux survive? You see, the first Linux distribution, and a few old ones, like Slackware and Mandriva are still alive today, though their earlier versions came out in early 90s. Thats more than 20 years. The earliest version of Microsoft Windows I remember was Windows 3.1, which came out maybe around the same time. Now Windows has over 90% market share, and a multi-billion dollar company leading it, but we at Linux know no such name. And our sense says, for any thing to continue, there must be a lot of money involved and invested. Most Linux distros come free of price, so how does it go on? Contrary to the basic fact, Linux was never made for world dominance. Though there are some distros out there like Ubuntu that are focusing heavily for increasing the user base, that’s not the chief motto of GNU/Linux in general. Linux was created by a group of frustrated people, to solve a basic problem. And when I say about the problem., I mean freedom to use your computer, your way. Here comes the power of open and free software. And I bet a thousand dollars, there will be freedom loving people in every day, every month, every year and every decade. And as long as they are there, Linux will continue to survive. Like take my example. I didn’t like the fact that there is so much less I can customize in my Windows installation. I know there is a lot to customize, but the basic fact is that you can customize Windows, if and only if Microsoft allows you to do so. There are certain parts of Windows that are hidden from the user, for obvious reasons – he doesn’t need them. So I spinned a copy of Fedora DVD and installed the OS. And believe me, in Linux there are no limitations to customizations. Even better, if you need to add a certain feature to a program, the source code is available for free, and you can code the feature your way and release it to the public. In a matter of months, your creation will be available to millions of users who are using GNU/Linux in their computers. They say freedom comes at a price, and the only price I paid for freedom is free. Sure, a lot of improvements can be done, LibreOffice can be better looking, I want lesser crashes in Gnome shell, a few more games will be good, and I want full usage of my graphics card without lags. The best thing is there are a lot of choices out there for a particular program, and all of them downloadable at one click for free. I didn’t like the default music player (Rhythmbox) that came in Ubuntu, so I replaced it by Amarok. Damn, we have a whole set of desktop environments out there that will fully change the UI and workflow of your desktop. I pity those who are stuck with default Metro UI in Windows 8, and have no choice except accepting it. As open software development is also open, if you need a feature, all you need to do is to go to the program’s bug tracker/forum and suggest it to other members. As most program development is done by volunteers, you will need not pay for it, though a donation is always welcome. Most major distros have a feature proposal period, in which anyone (yes anyone) can go and suggest a feature or improvement that they want in next OS release. So ideally, you can take part in the community and shape the OS you like, your way. I will now say something about the hacker culture prevalent in Linux from its bare beginnings. 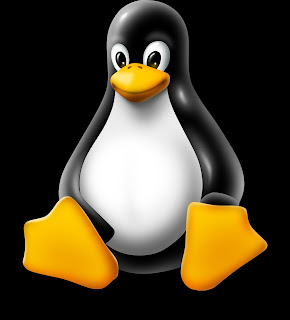 Unlike other OSes, whose users are mainly dominated by users at home or office, there is a vast majority of hackers that use Linux and modify it. Truly speaking, if there were no hackers, Linux wouldn’t have been the way it is today. These hackers do wonderful things, create wonderful programs and fix crucial venerabilities. Just take the example of Wine. Most games are not meant to run in Linux, but these hackers do the reverse engineering and make sure it does, So just within a few weeks, or maybe a few months of a major game release, someone finds a work around to run it in Linux. Or take the example of Skype. Some people in Linux community didnt liked the way Skype worked, so they created Ekiga, which has all the features of Skype, plus freedom to use it your way. The hackers take the Linux revolution forward. So how does it feel to be a Linux user? I say wonderful. I can use my PC my way, install the software I like, and not under any mutili billion dollar organization to dominate me. My windows friends hate the Metro UI of Windows 8, and despite the fact, they will have to switch to it someday against their wish. We in Linux community created three desktop environments – Unity, Cinnamon and MATE just because we didn’t like the new version of Gnome. As a software developer, I can push my software to Ubuntu Software Center and other repos, and expect thousands of users to use it stright away. With Steam already out, I have games like Counter Strike, Half Life and Left for the Dead 2 (coming out soon) running natively in Linux, and a thousands of others that run via Wine (thanks to my hacker friends). Now there are also several native clones that run on Linux, that I havent mentioned here. In a way it is fantastic to be a Linux user. If you are using Windows (most probably you are), I can’t guarantee you love Linux or not, but can surely guarantee that you are missing something. Each post takes two days or more of research and three hours of typing to bring out the high quality you see here. If you admire our efforts, consider Liking Us in Facebook. Subscribe to our RSS Feeds, to get alerts of new posts. You can also Follow Me on Twitter. Sysadmin, coder, e-magazine editor, tech reviewer, freelancer. I love science and all things nice.